VOTED BEST BRONCO ROLL BAR TOP!!! 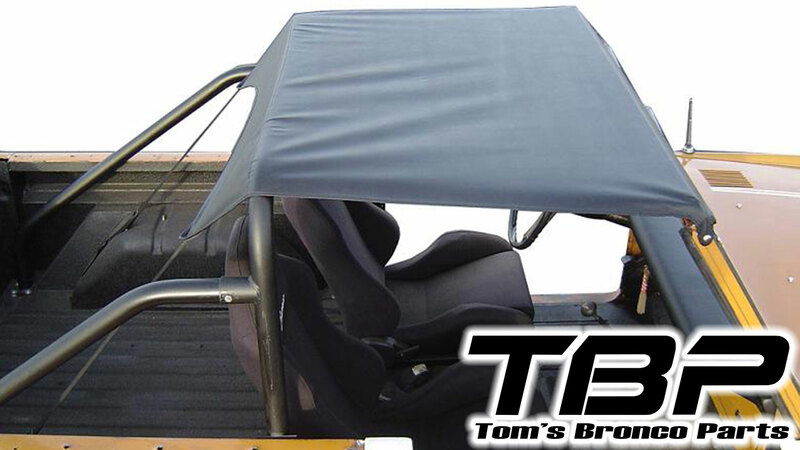 Our NEW Tom's Bronco Parts Roll Bar Top Kit is far and away the best kit available on the market! It offers a one-piece channel for quick installation and better durability. Also, our exclusive low-profile riser reduces wind resistance by as much as 60% as compared to other leading brands. Also compatible with Specialty Top and Kayline hardware. Kit comes complete with skin, all mounting hardware and wiper motor lowering bracket for electric wipers. Fits 1966 to 1977 Ford Broncos with standard style interior/roll bar. Black marine grade vinyl.